Jendayi E. Frazer is adjunct senior fellow for Africa studies at the Council on Foreign Relations (CFR). Frazer is a visiting professor at Columbia University’s School of International and Public Affairs. She was a distinguished public service professor at Carnegie Mellon University from 2009 to 2014, where she was on the faculty of Heinz College’s School of Public Policy and Management. Her research focused on strengthening regional security cooperation and economic and political integration in Africa. She was the director of Carnegie Mellon’s Center for International Policy and Innovation (CIPI), which focuses on utilizing technology and applying innovative solutions to core issues of development and governance in Africa. The author of and contributor to a number of articles, journals, and books, she is the co-editor of Preventing Electoral Violence in Africa (2011), which grows out of her work with CIPI. Frazer served as the U.S. assistant secretary of state for African affairs from 2005 to 2009. She was special assistant to the president and senior director for African affairs at the National Security Council from 2001 until her swearing-in as the first woman U.S. ambassador to South Africa in 2004. She previously served in government from 1998 to 1999 as a CFR International Affairs Fellow, first at the Pentagon as a political-military planner with the Joint Chiefs of Staff, working on West Africa during Nigeria’s transition to civilian rule, and then as director for African affairs at the National Security Council, working on Central and East Africa. Frazer was also an assistant professor of public policy at the Harvard Kennedy School and assistant professor at the University of Denver’s Graduate School of International Studies. She has been awarded the Distinguished Service Medal, the highest award bestowed by the secretary of state in recognition of her public service. In 2010, she was given the distinction of Dame Grand Commander in the Humane Order of African Redemption by Liberian President Ellen Johnson Sirleaf. She was also honored with the 2008 Distinguished Leadership Award from Boston University’s African Presidential Archives and Research Center. 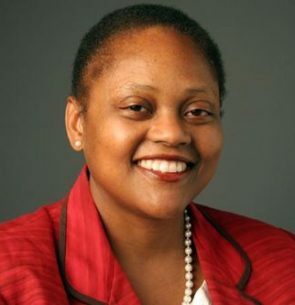 Frazer received her BA in political science and African and Afro-American studies, MA in international policy studies and international development education, and PhD in political science, all from Stanford University.